Twenty looted ancient artefacts, recovered by US officials and soon to be returned to Italy, were on display at the Italian Embassy in Washington, DC last week, to celebrate 15 years of co-operation between the two countries in fighting art crime. 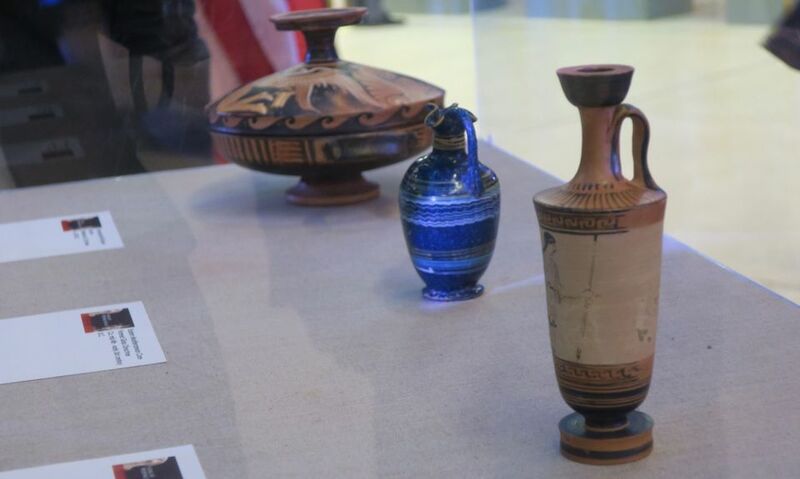 Among the works to be repatriated are three ancient Greek vessels that officials said were illicitly removed from an archaeological site in Italy and smuggled into the US. Carabinieri officers spotted the items listed for sale online at an unnamed auction house in New York and alerted the FBI, which helped recover the objects. 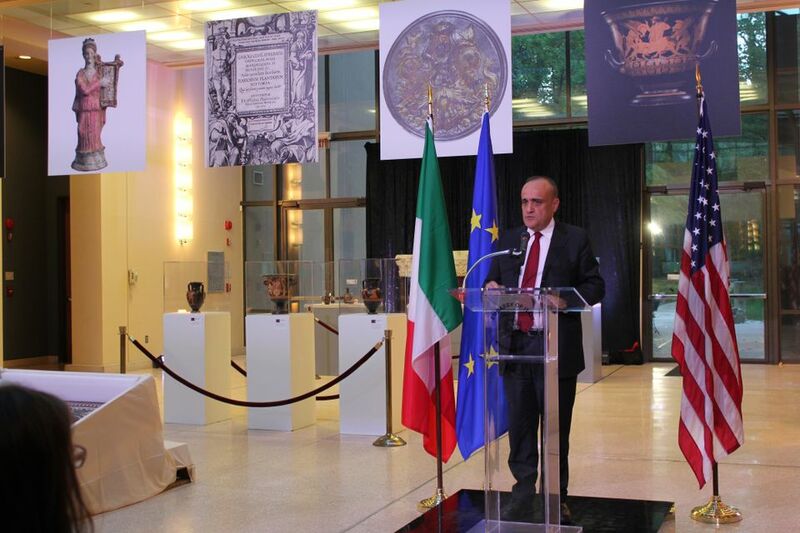 Speaking at the 30 October event, the Italian ambassador, Armando Varricchio, said art theft leaves a dent in our capacity to understand the cultures that birthed the stolen objects. “Like a wound, it will not heal without leaving a scar,” he said. “By losing the past, we blur our present and obfuscate our future.” He also stressed the ways that combating the illicit art and artifact trade can plug up a major funding source for international terrorism and can preserve objects of national significance for future generations to enjoy, which the ambassador called a “moral duty”, a sentiment shared by several other speakers, which included Italian and US diplomats and law enforcement officials. Marie Royce, the US assistant secretary of state for educational and cultural affairs, said that the memorandum of understanding (MOU) in place between the two countries since 2001, reflects a “very strong commitment” on the part of the US to protect Italy’s history. (This long-standing co-operation is outlined in a new jointly published book, Saving Art Preserving Heritage, also announced at the event.) “These are beautiful objects, and unfortunately they, and many others like them, are vulnerable to theft, looting, and ultimately trafficking,” she said. Bonisoli also announced during the event that Italy would soon ratify the Council of Europe’s 2017 Nicosia Convention, an international agreement that is the first to establish sanctions for cultural property crimes, including unlawful excavation, smuggling, illicit markets, falsifying documents and intentional destruction. “We want to introduce laws on specific crimes so there are stiffer penalties applied to crimes against cultural heritage, which is a fundamental part of our identity,” Bonisoli said.